Juno is dial-up Internet Service Provider based in the United States. The company provides free dial-up internet to its users limiting 10 hours per month. Juno email, one of Juno’s online product is a free email service which is popular for its spam protection feature. Except being free webmail, features of Juno webmail include mobile and web access, multiple email addresses and Spam or virus protection. 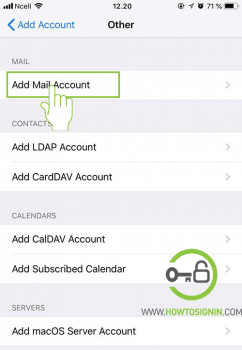 The email also comes with 2 GB of space to receive and store files, and organize emails. 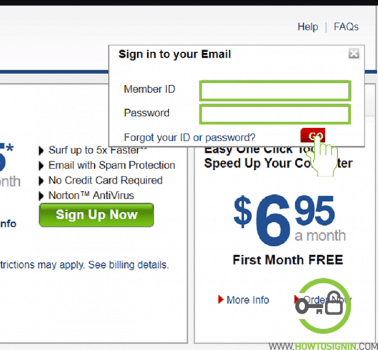 Here is step by step tutorials for Juno Email login. Don’t have an account? Create a free Juno account now. Can’t log in to Juno account? 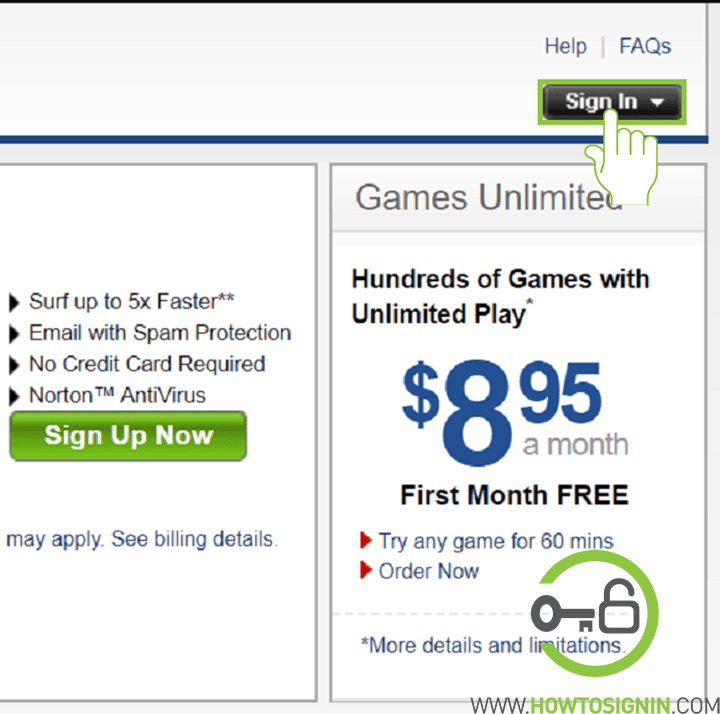 Open your web browsers and type www.juno.com and click Sign In at the top right corner of the page. Alternately, you can also visit https://webmail.juno.com. After a few seconds, you will be in your Juno webmail inbox. From here, you will be able to read, reply or compose an email to your friends, family, and colleagues. Juno.com email doesn’t have a native mail app for the phone. 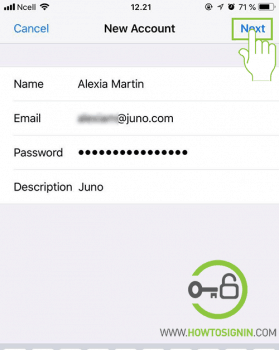 But you can easily login to Juno email from Android or iOS mobile devices. 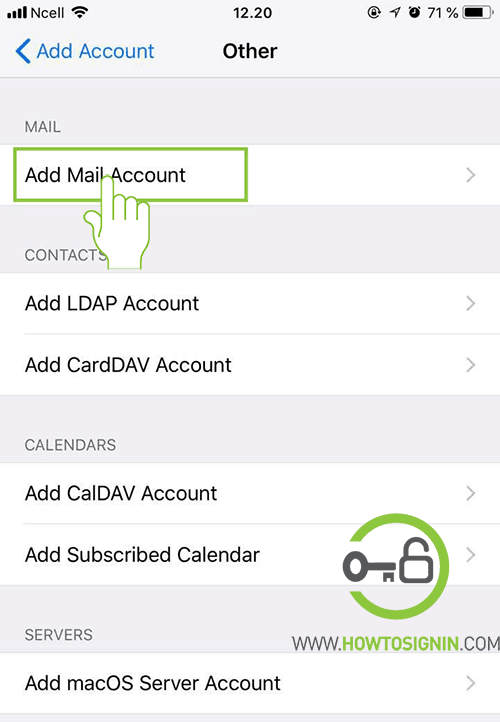 There are multiple ways to access Juno webmail on the phone. You can sign in to Juno webmail from mobile as well. Hit the ‘Add Mail Account’ button on the top. Fill the new account form. Enter your name, Juno email address, password and description on the respective fields. 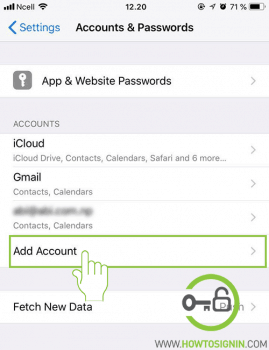 Now your email account is successfully synced with iPhone. Go to phone settings of your Android phone. 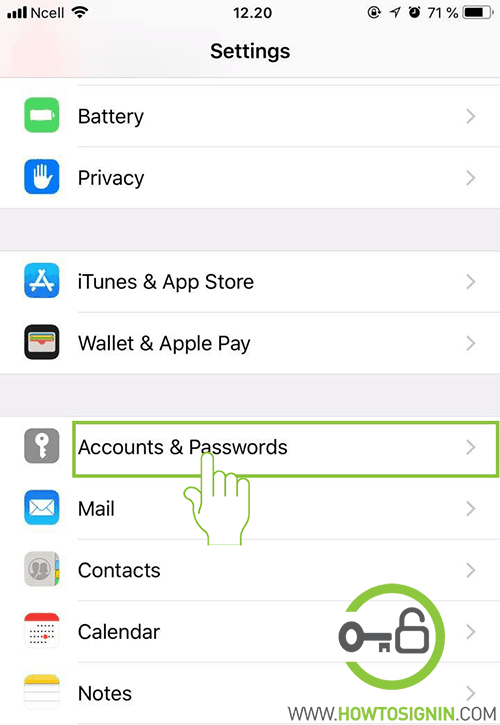 Find Accounts in the setting. 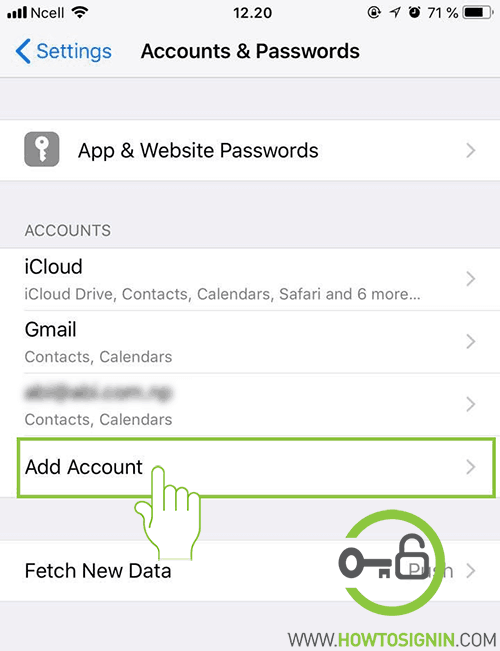 The placement of Accounts option varies according to different model and version of your phone. 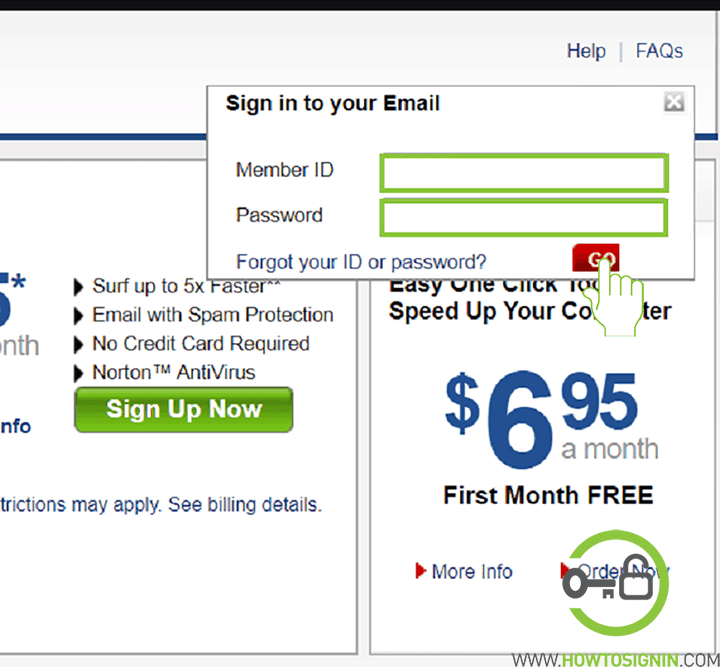 Now enter your Juno account and password and hit Sign in. Go to Outlook menu by clicking three vertical lines on the top left corner. A sidebar menu will appear. Tap on Settings of the Outlook Mail app. 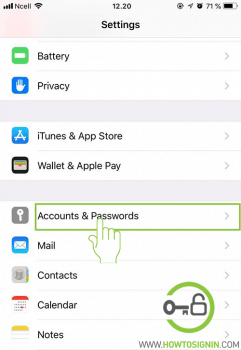 Now provide the password for the account. You can also update the display name and description. Tap on tick mark on top right corner. 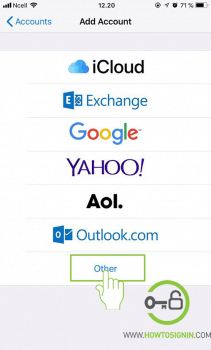 You can log in to Juno email from any mail client that supports IMAP or POP. Make sure you’ve entered correct username and password. Passwords are case-sensitive, so turn of caps lock if it’s on. Check the current time of your device, and make sure it’s accurate and the calendar is set to the exact date. Ensure the time zone is correct in your device. Restart the computer after adjusting time. Delete cookies and temporary internet files from the browser and try again. 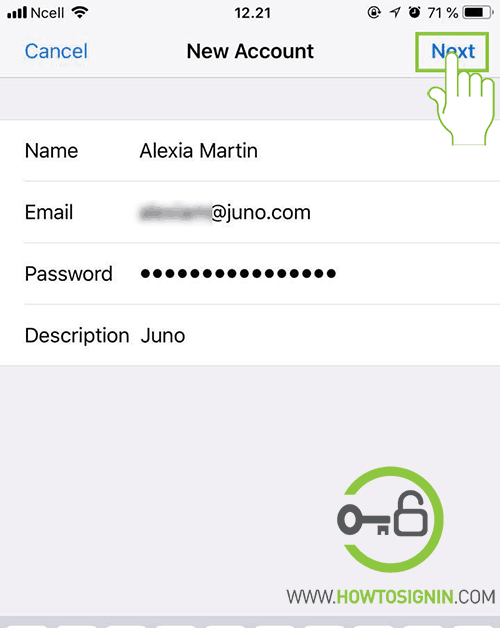 You can reset Juno account if you don’t remember your password. Just visit the password reset page. You need to provide information to verify your ownership.